Placed strategically in proximity to the leisure and business centres of the Calabar Metropolis, Petesville Hotels offers lodgings with great rates and great hospitality. It is located at Plot 236, 2nd Avenue State Housing Estate, Calabar, Nigeria. Each room is equipped with air-conditioning units, a work table, satellite receptive flat screen TV and an en-suite bathroom. 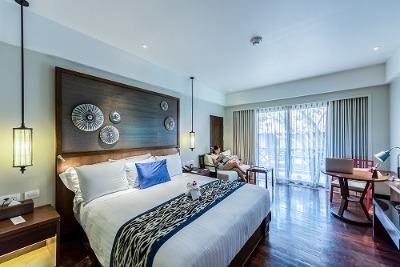 These rooms come with a December Rate and are categorised into Standard Rooms and Executive Suites; the suites have a spacious and separate sitting area. Free Wi-Fi is available throughout the hotel, guests can engage in workout sessions at the well-equipped gym or taking a relaxing dip in the swimming pool; the on-site restaurant has a wide menu consisting of both local and continental meals while the bar is fully stocked with a variety of alcoholic and non-alcoholic drinks. An adequate parking space is available in the hotel premises which is guarded round-the-clock by security personnel. A 24-hour room service, laundry/dry cleaning, ironing, car hire and concierge services are made available on request. The nearest airport is the Magaret Ekpo International Airport which is just 11 minutes away. Children: All children not older than 12 are allowed at no extra cost. Payment: Cash, Visa and MasterCard are accepted here. Q: Does Petesville Hotels offer free Wi-Fi? A: Petesville Hotels offers free Wi-Fi to all checked-in guests. Q: Does Petesville Hotels have a swimming pool? A: There is a swimming pool in this hotel. Q: Does Petesville Hotels offer complimentary breakfast? Q: Is there a fitness centre/gym at Petesville Hotels? what type of equipment are available? A: Yes. A modern and well-equipped gym is available at the hotel. Q: Does Petesville Hotels have a restaurant? A: A restaurant is available at Petesville Hotels. Q: What is the check-in and check-out time at Petesville Hotels? Q: Does Petesville Hotels offer shuttle services? A: Petesville Hotels does not offer airport shuttle service. Q: Does Petesville Hotels offer car hire services? A: Petesville Hotels renders car hire service on request. Petesville Hotel Limited is a budget hotel in Calabar, Cross River. Honestly I had a beautiful stay at the hotel, the fact that I made my reservation online made things really easy for me. I had a smooth check in, their environment was serene and lovely, my room was comfortable and there was constant electricity. I enjoyed every minute I spent at the hotel and will definitely visit the hotel again. Short stay, I spent just few hours but it was really lovely, your hotel is beautiful and Calabar is also beautiful. I will be coming for holiday with my family to Calabar and I'm so glad that have found a place like yours for the family, and also good team work. Keep this standard when I come back because I don't want to be disappointed when I come back. The hotel is my ideal kind of hotel. Everything went well at the hotel. From the reception to the bathroom all went well. I am so impressed with the hotel and management, I would certainly be back. Have nice pictures of Petesville Hotel Limited?